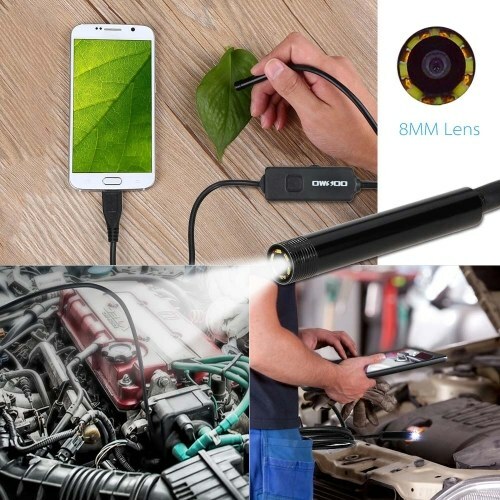 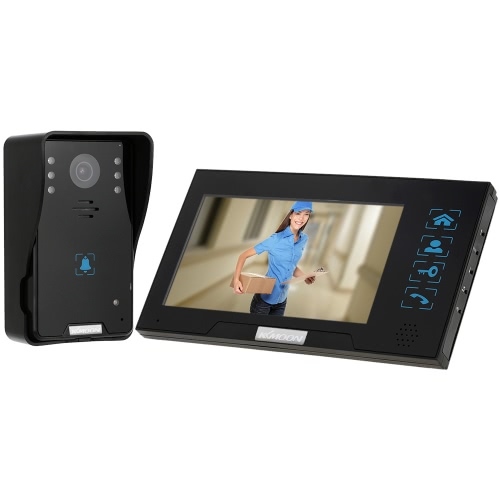 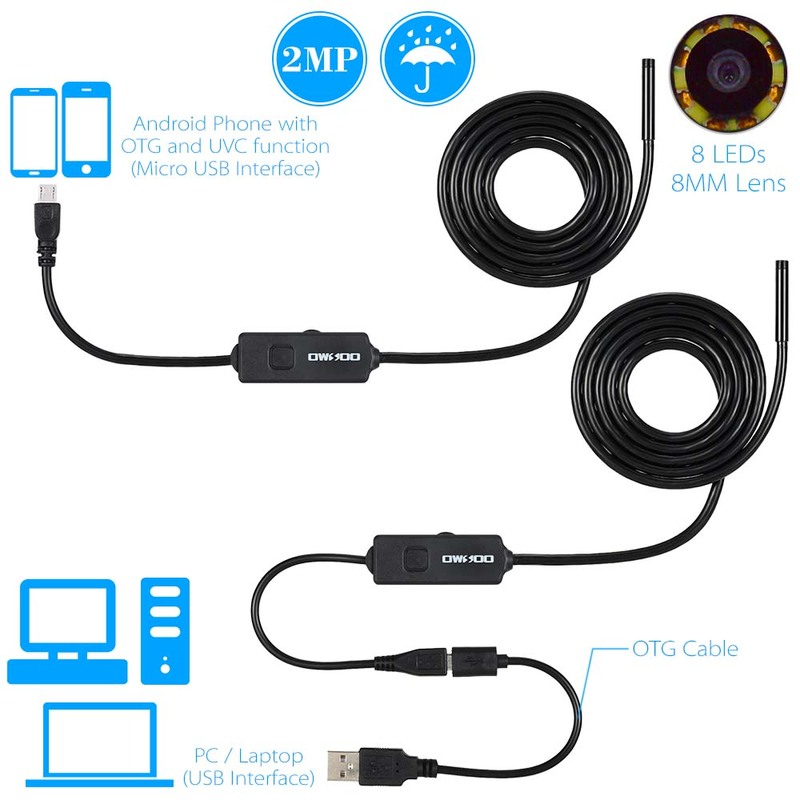 Note:This endoscope not apply to all the Android Phone and Computer System.The compatible Phone and Computer System please refer to the following list.Please note that your phone must support OTG and UVC camera function, Android 4.1 system above. 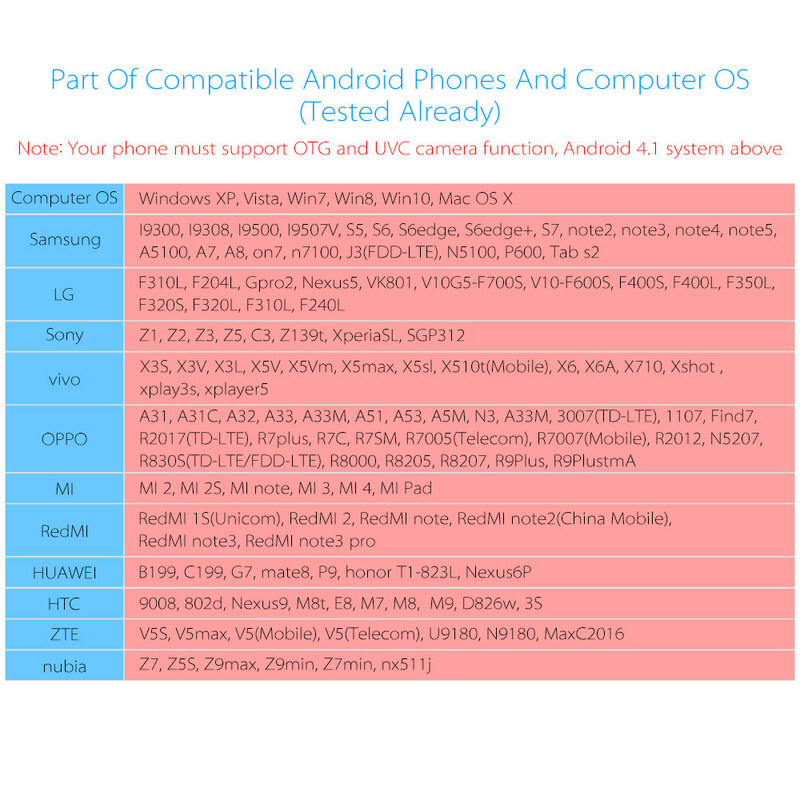 Compatible Phone Model: Samsung: I9300,I9308,I9500,I9507V,S5,S6,S6edge,S6edge+,S7,note2,note3,note4,note5,A5100,A7,A8,on7,n7100,J3(FDD-LTE),N5100,P600,Tab s2. 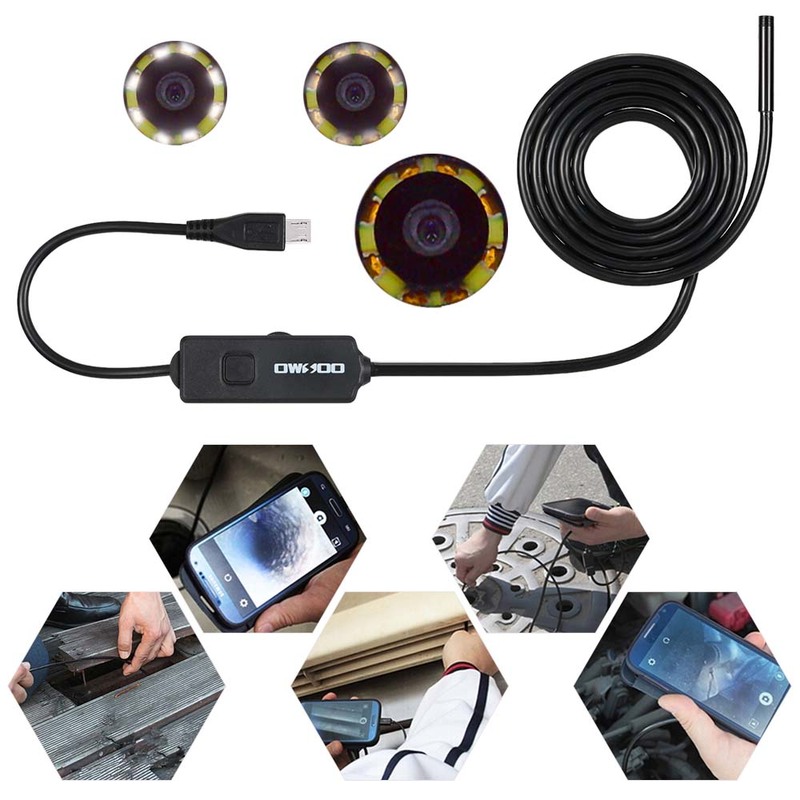 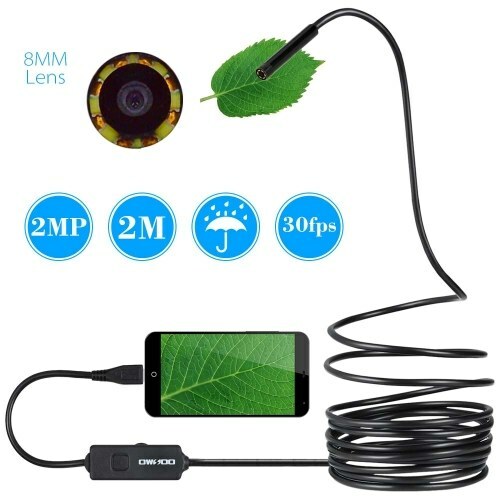 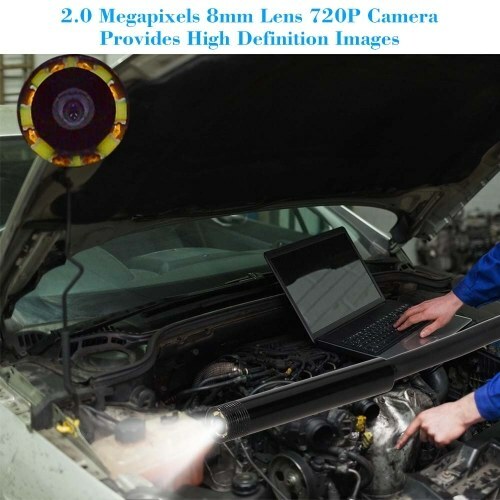 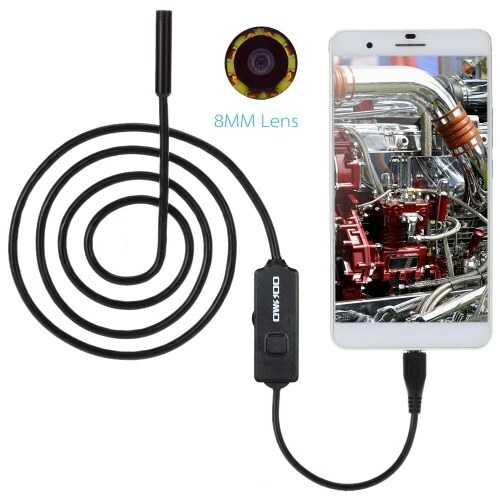 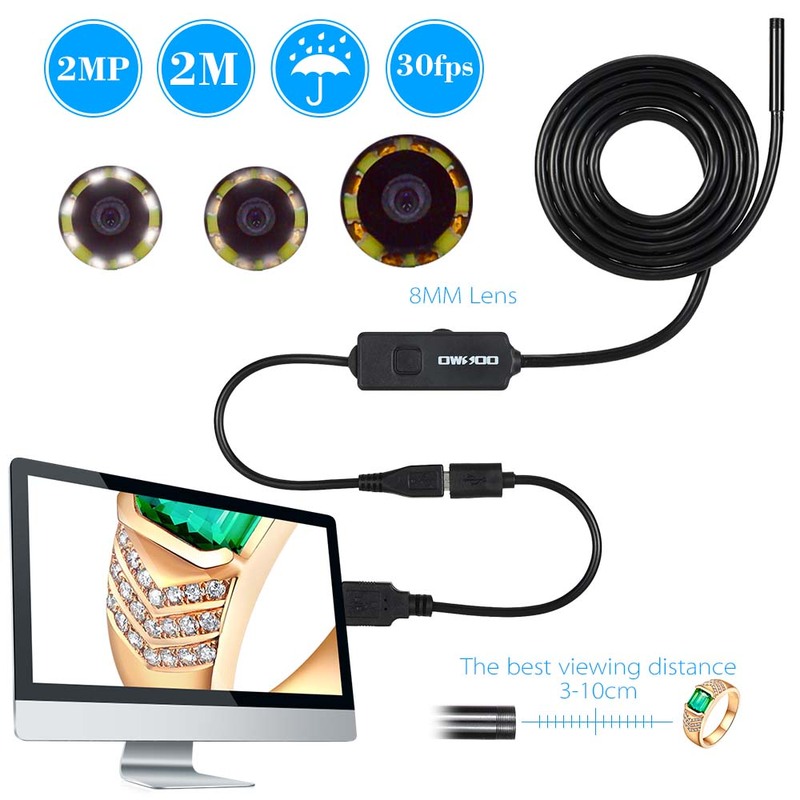 This item is 2.0 megapixels 8mm lens endoscope camera, it can only work with Android mobile device. 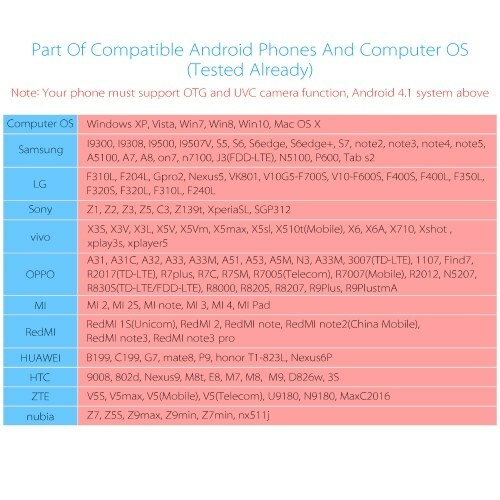 You just need install the APP, then you can check the image and video directly on your phone. 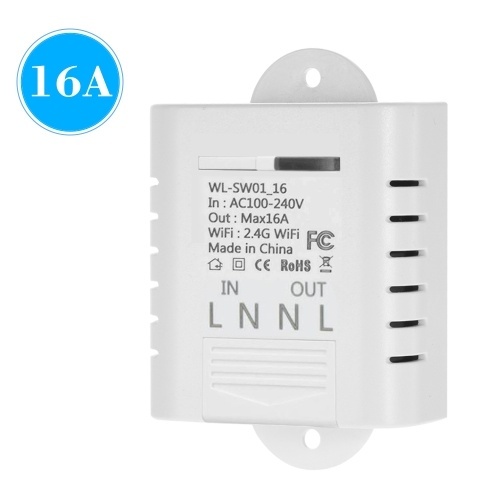 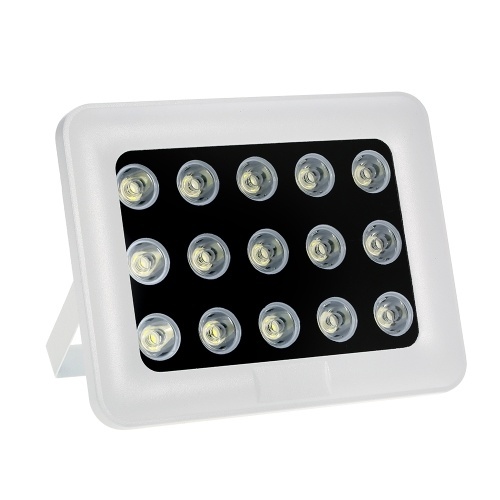 It has 8LEDs and the brightness is adjustable. 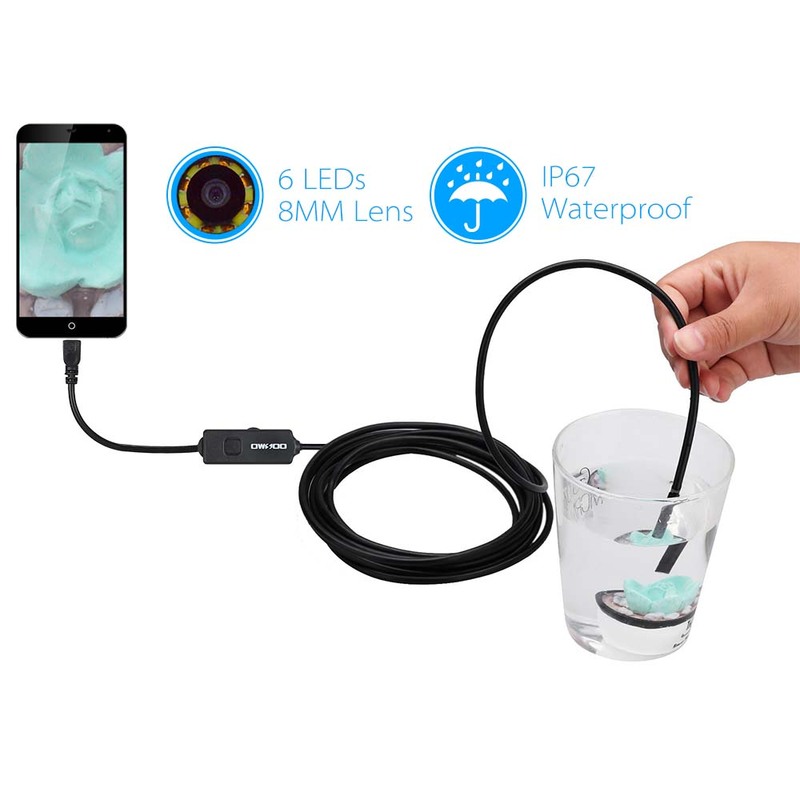 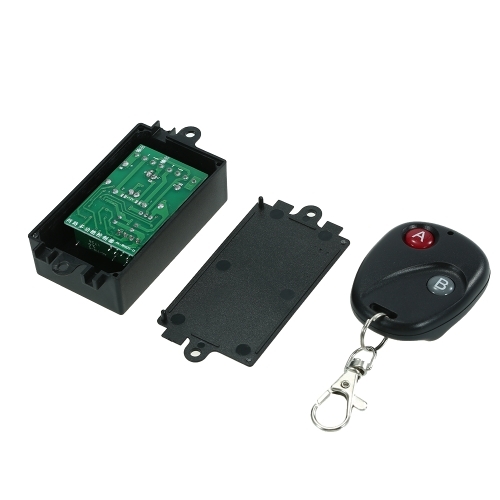 The IP67 waterproof function makes it ideal for underwater camera,motor vehicle detector,sewer pipeline detector,search and rescue,industries,constructions and so on. 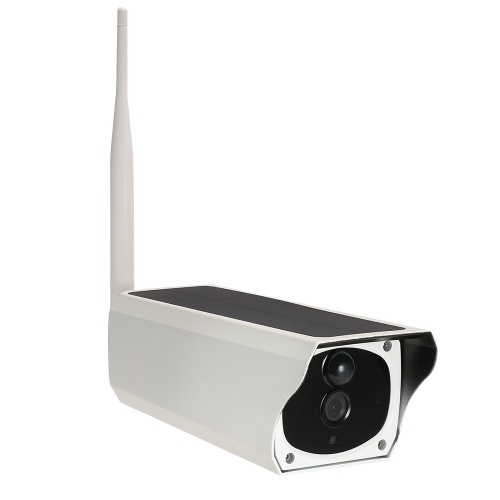 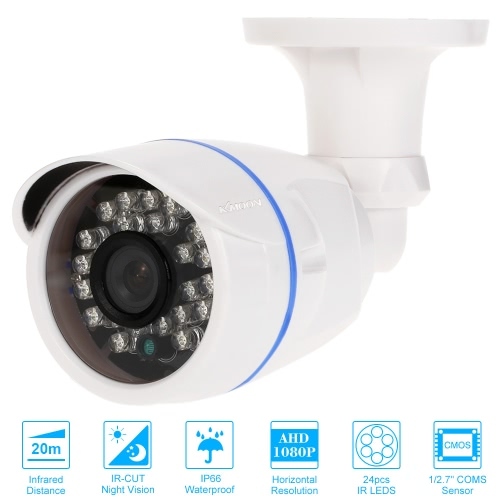 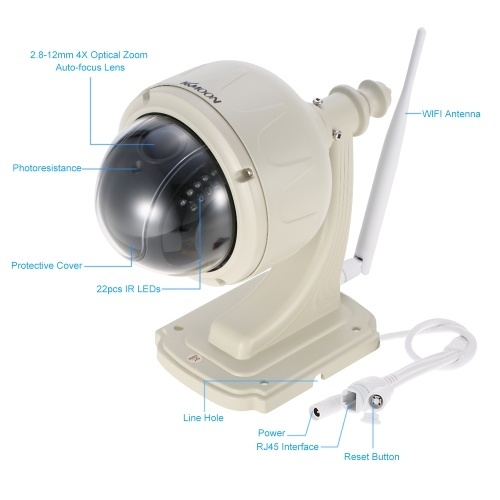 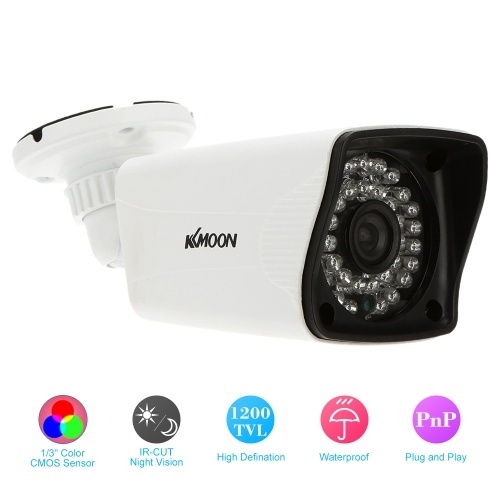 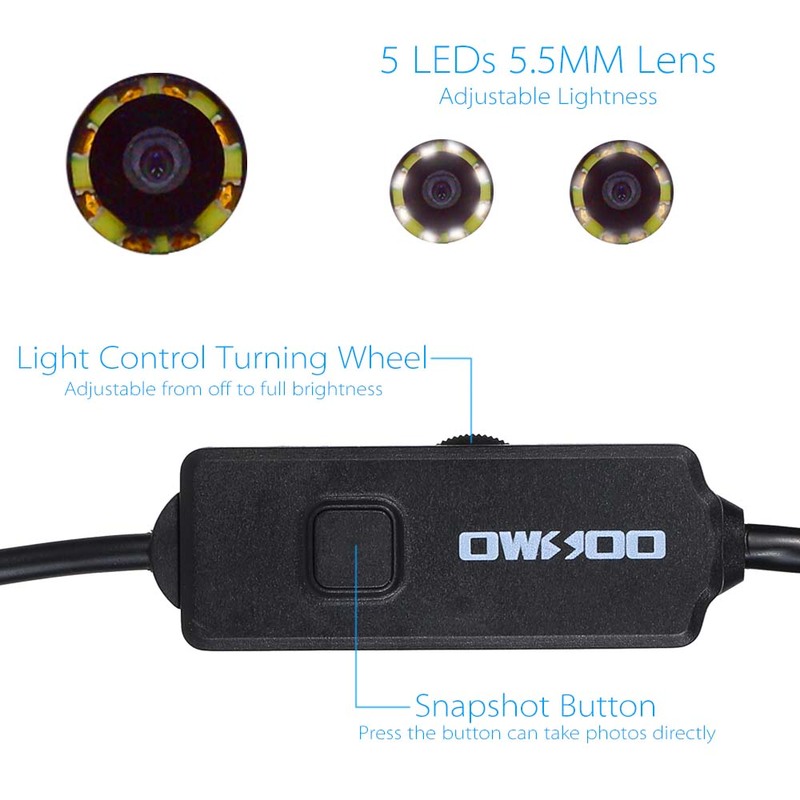 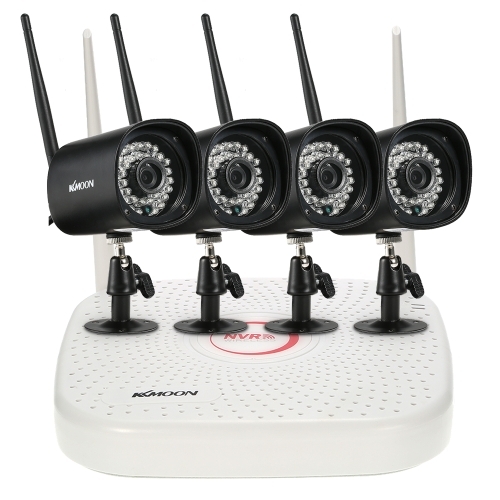 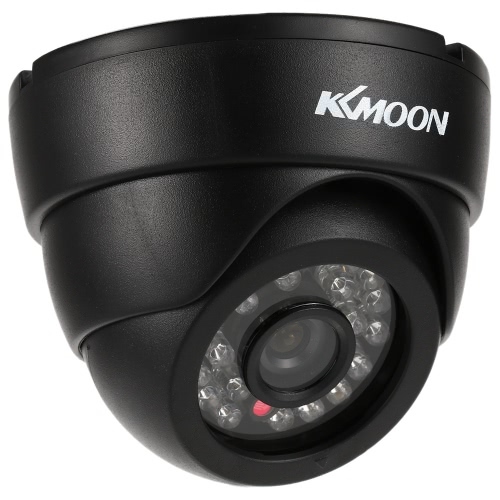 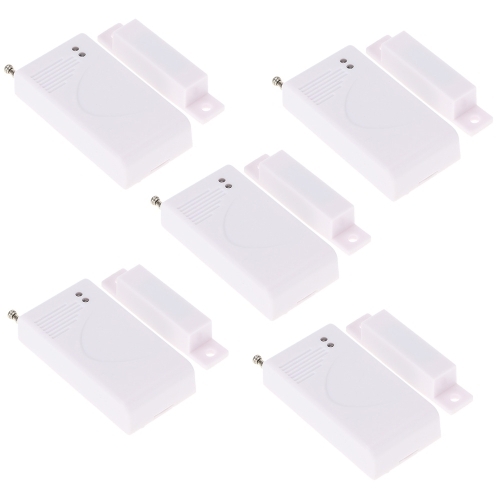 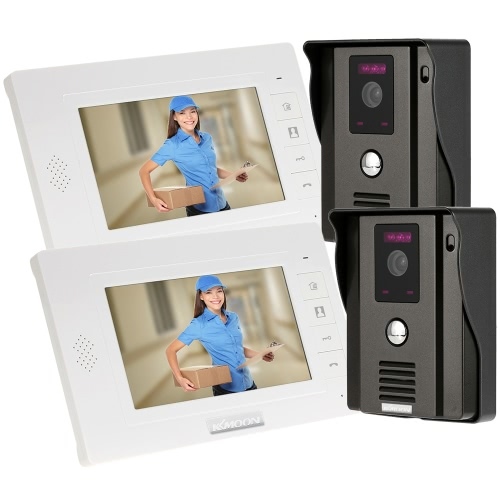 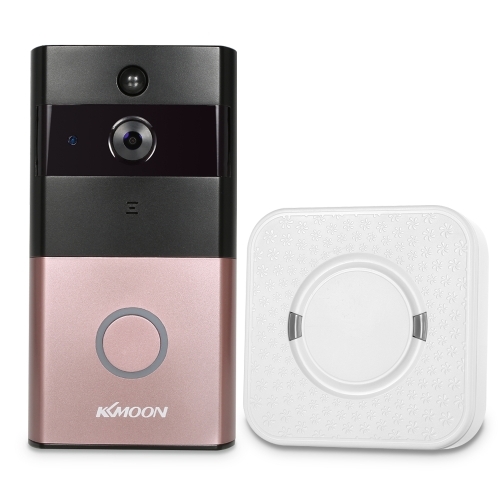 *2.0 megapixels 8mm lens 720P camera provides high definition images,8 tiny white LED's that are adjustable from off to full brightness for those dark places you want to look into. 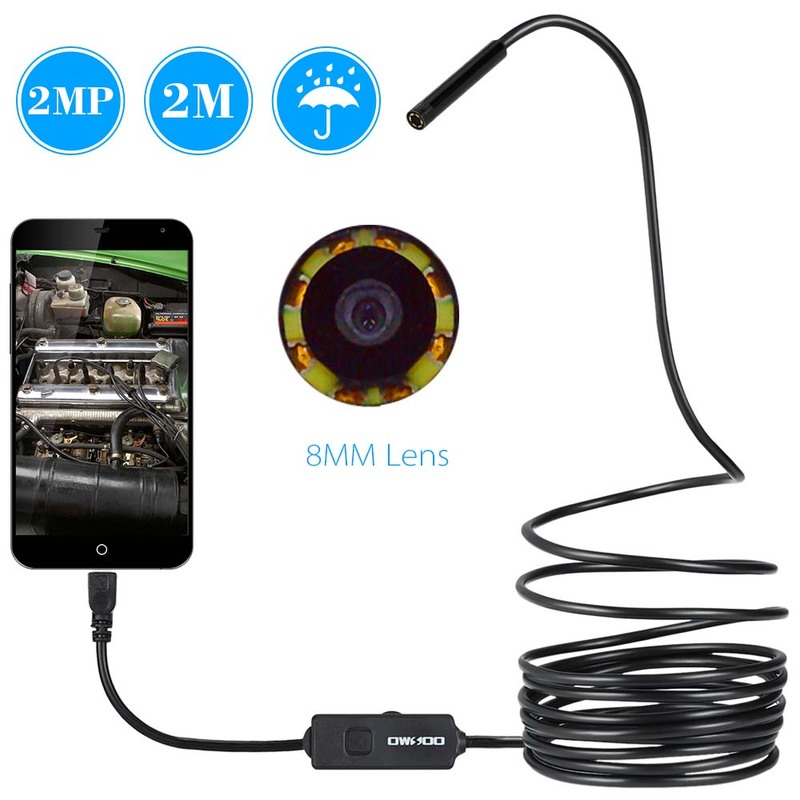 *Support install the endoscope apps in your Android system phone. It sustains photo taking and video recording. 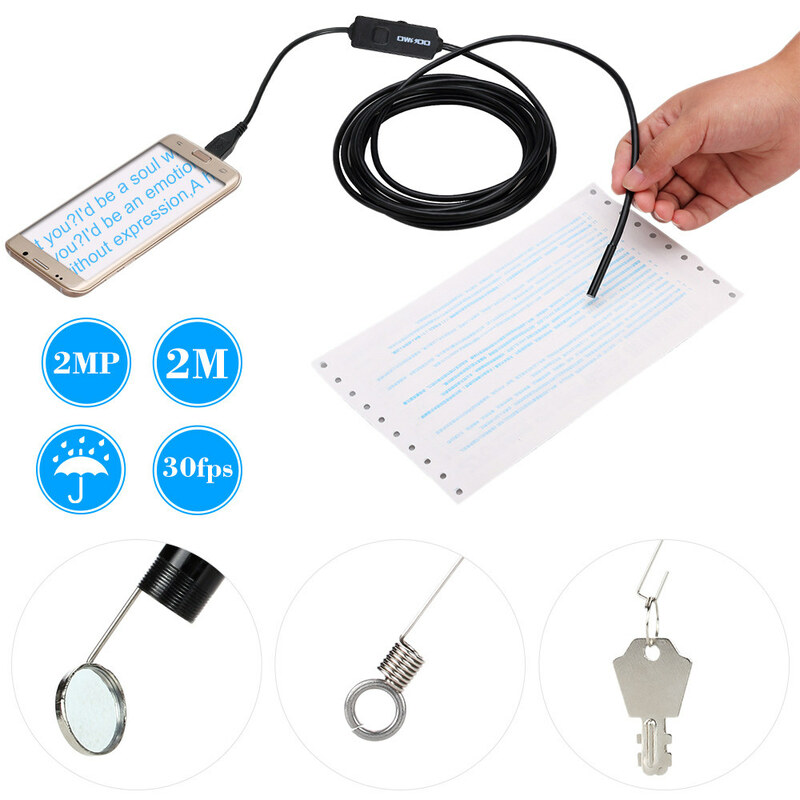 The photos and videos will directly stored in your phone for observation and follow-up analysis.Press the button on endoscope can take photos directly. 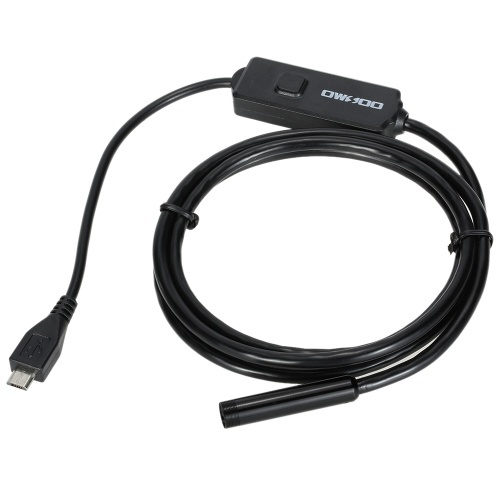 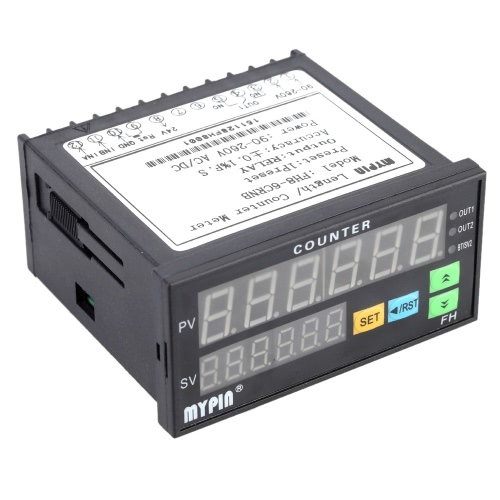 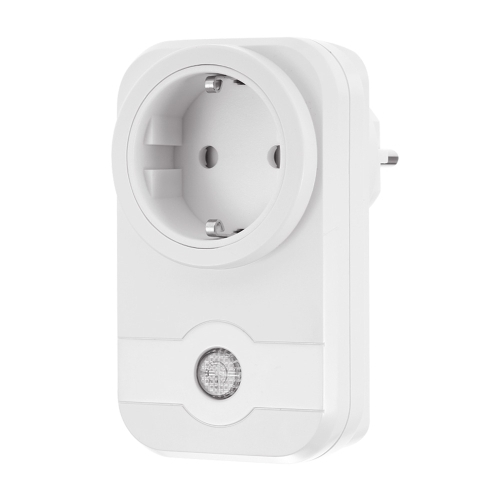 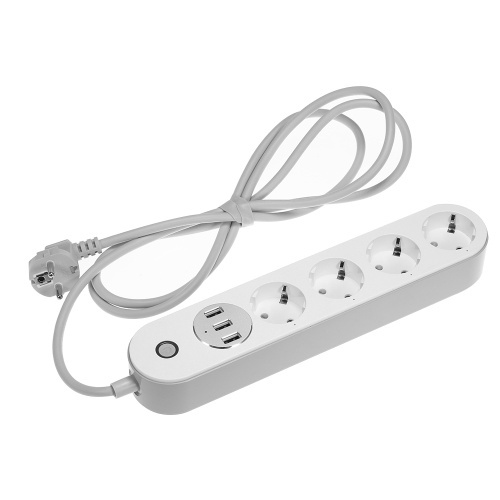 *With USB interface, can also be used for computers. 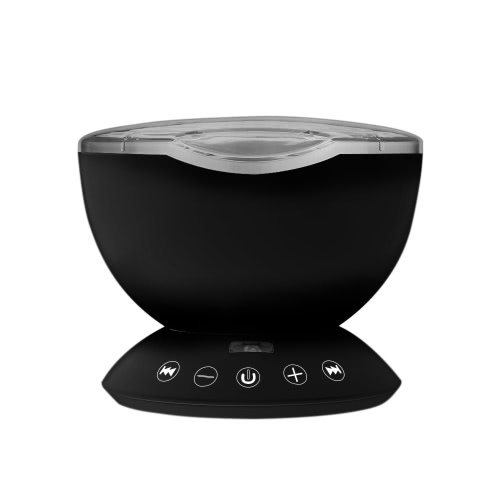 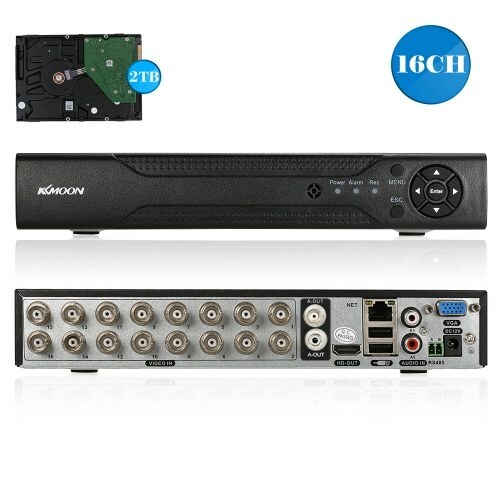 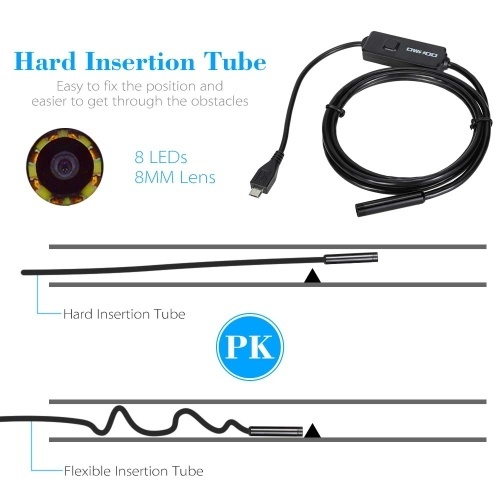 Just copy the CD's software to your PC desk, connect the endoscope with the PC and open the software, then you can use it directly. 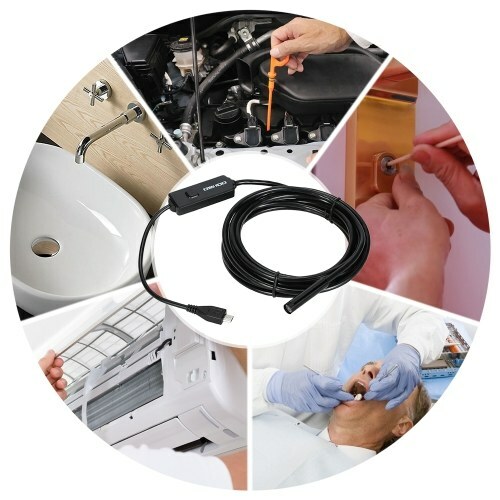 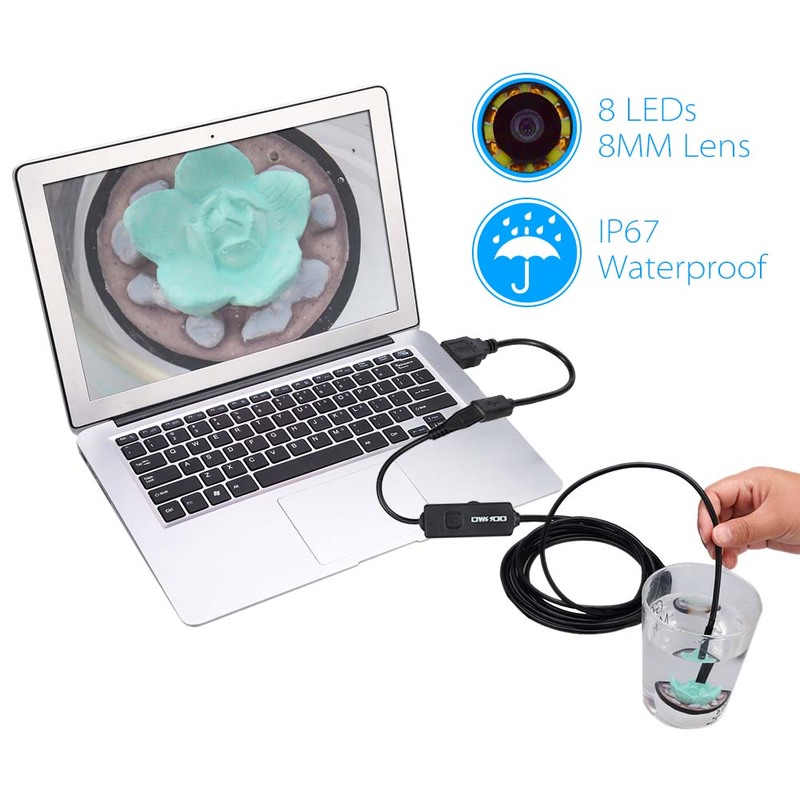 *This USB Endoscope is a portable, hand-held video endoscope system with a hard insertion tube, the tube is easy to fix the position and easier to get through the obstacles. 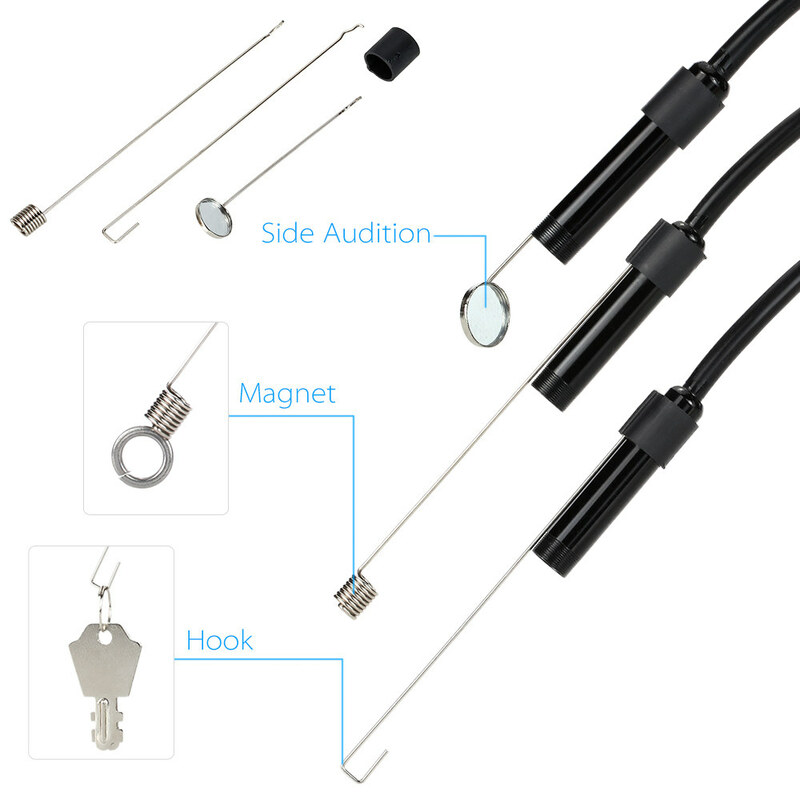 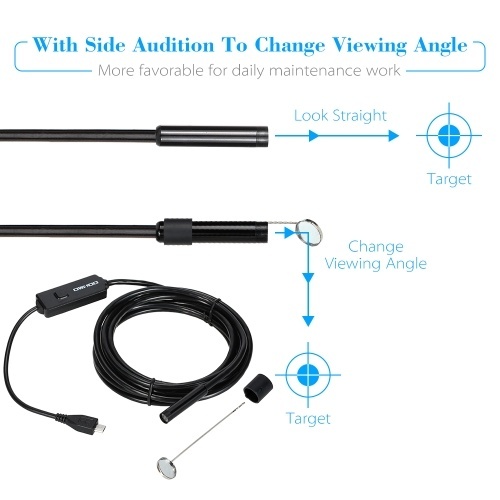 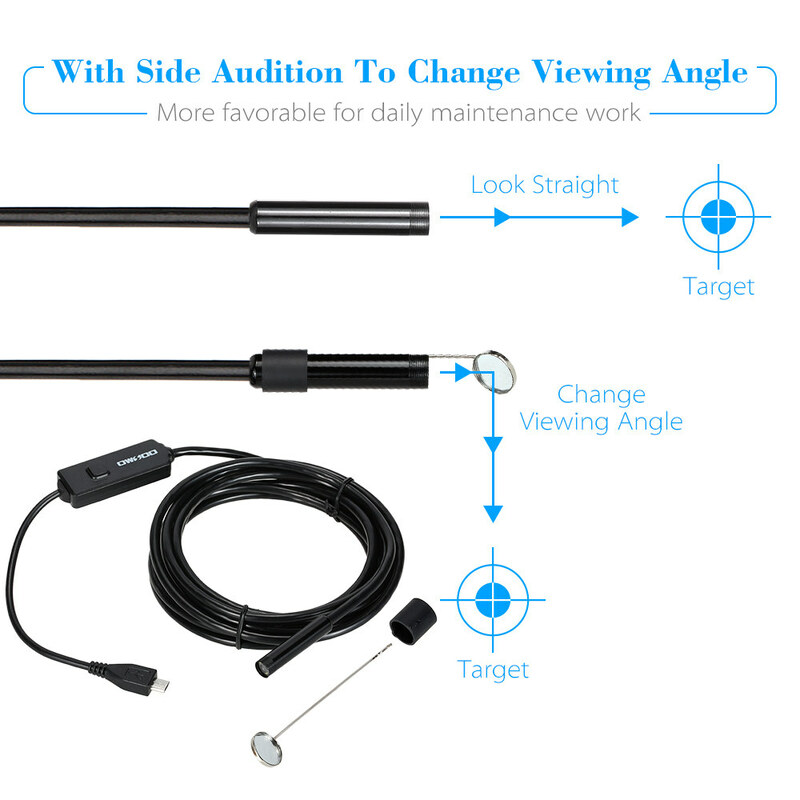 *The Endoscope equipped with small hook,magnet and side audition, which make easier to take out the small objects in the gap and are more favorable for daily maintenance work. 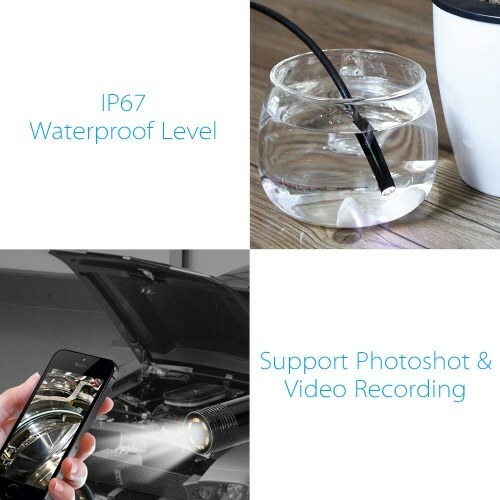 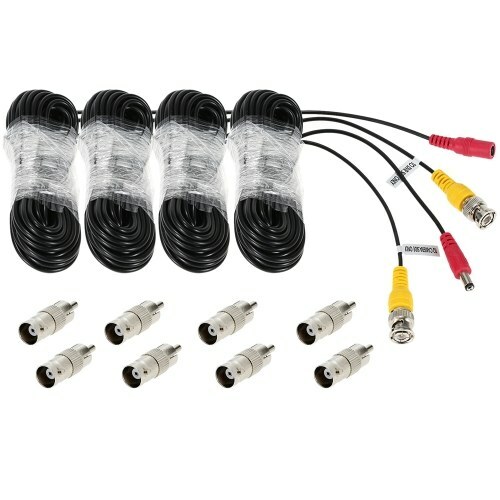 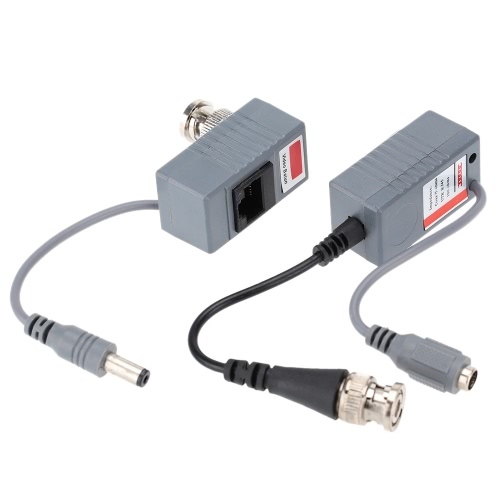 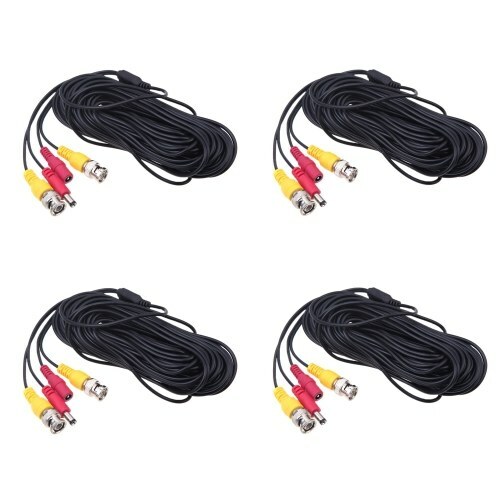 *2 meter long IP67 waterproof and dustproof cable. 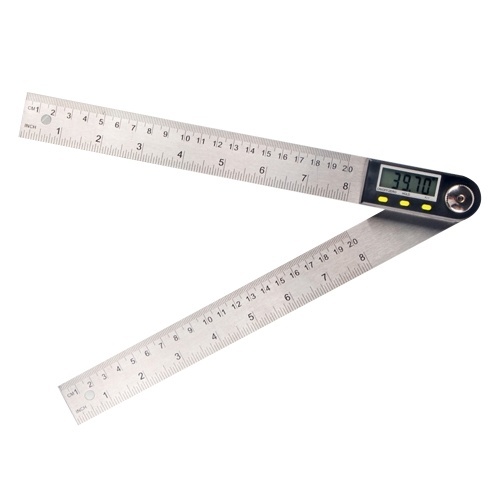 Sturdy and durable use. 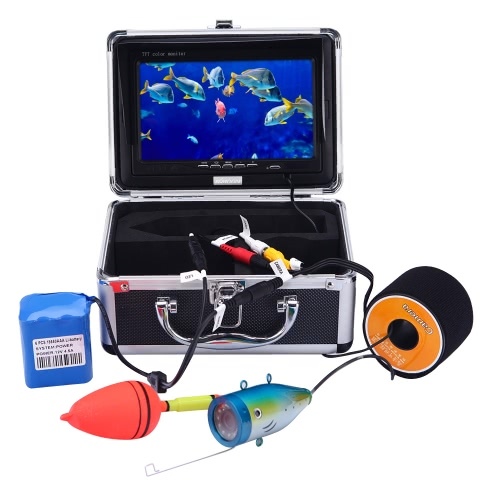 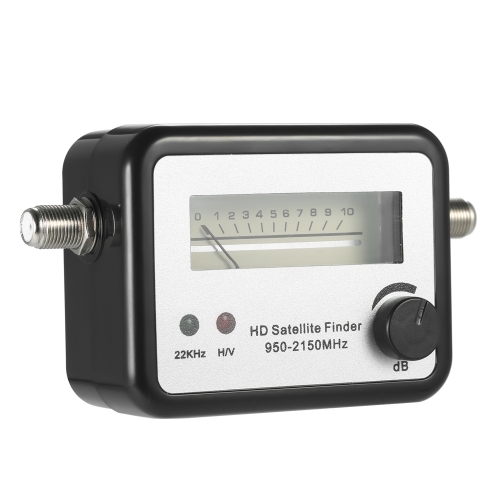 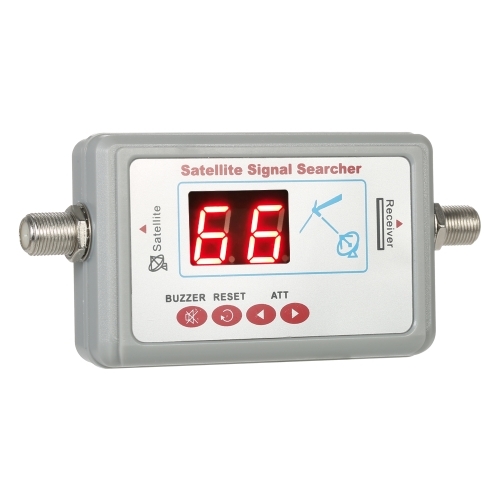 *Ideal for underwater camera,motor vehicle detector,sewer pipeline detector,search and rescue,industries,constructions and so on.